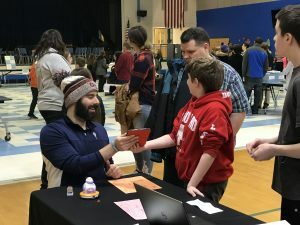 On December 12th, Old Colony’s Computer Science and Electronic Engineering programs presented at Ford Middle School’s STEM Night. 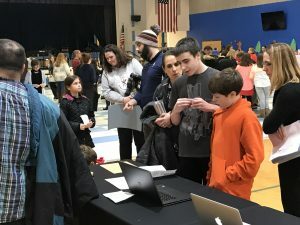 The event had a Science Fair feel, as teachers set up tables for community members to explore science, technology, engineering, and mathematics activities. 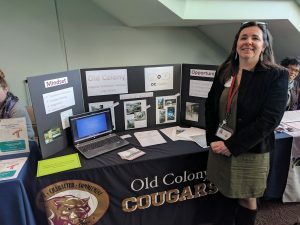 Old Colony was represented by Mr. Ryan Robidoux (Computer Science) and Mr. Dan Brush (Electronics Engineering, Robotics Club). At the Computer Science table, students and their families programed a BB-8 robot to complete challenges like navigating around a bear. 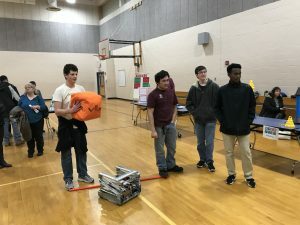 Students from the Robotics Club worked with students and parents to compete in robotics challenges with a student-constructed robot. 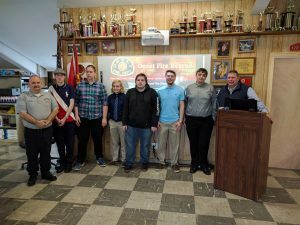 Today, the senior Computer Science students visited the Onset Fire Department to unveil its new website. 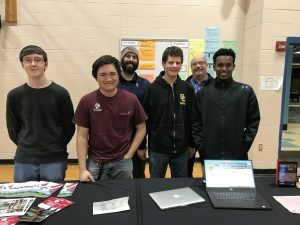 Throughout the year, students had been developing a new WordPress site for the fire department. The students presented not only the new website, but also provided basic training in how to update and maintain the site. On Thursday March 9, Vocational Technical Education Coordinator Jackie Machamer presented the OCcreates program to local educators and businesses. The Business and Educator Alignment meeting was organized by the CONNECT Partnership and hosted by Sensata Technologies (Attleboro, MA). 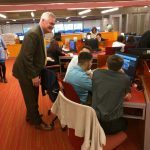 Among the attendees, were Education Secretary Jim Peyser, Bridgewater State University President Fred Clark, BCC President Jack Sbrega, and representatives from local business. Thursday January 12th marked the first meeting of the new Old Colony Music Club. 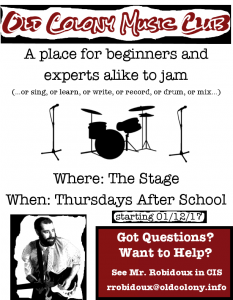 The club meets weekly as a space for students to collaborate in creating music. The first meeting was attended by students of all grades…12 in all! The students, along with their advisor Mr. Robidoux, are excited to see what happens in the coming weeks. Keep an eye, and an ear, out for when you can hear this talented group of students perform! Starting January 12, Old Colony will begin hosting a weekly music club on Thursday afternoons (2:20pm – 3:15pm). 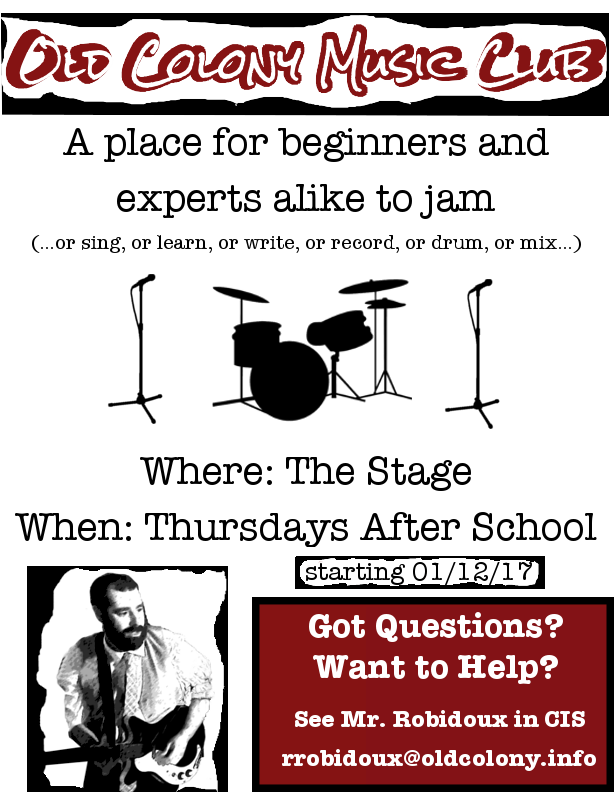 The club is for anyone interested in playing, writing, recording, or learning about music…from beginner to expert, all are welcome! If you have any questions or want to help out, contact Mr. Robidoux in CIS (rrobidoux@oldcolony.info). See you on the 12th! 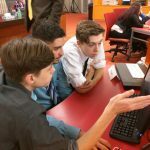 Yesterday, three teams of Old Colony students competed at the annual Bristol Community College (BCC) Web Design competition. The competition was run by the BCC Computer Information Systems department and included a number of schools from Massachusetts. After completing the three-hour competition, the team of Zack Fay and Matt Leate won first place and Sadie Lombardi won second place. This was the fourth straight year Old Colony students won the event and the third straight year they have swept the top two positions. Starting this spring, six Old Colony juniors in the Programming and Web Design shop began redesigning the Onset Fire Department website. Last week, the students met with members of the fire department to showcase their initial designs. The student-run development team aims to complete the project in the fall. At the end of this week, a group of our students will be competing at the SkillsUSA Massachusetts State Competition. Both the opening ceremonies (Thursday, 04/28) and the awards ceremony (Saturday, 04/30) will be streaming online at the Massachusetts SkillsUSA site. Tune in and cheer on our students and their amazing accomplishments! From April 28-30 a group of Old Colony Students will be competing at the SkillsUSA Massachusetts State Competition. If you are interested in attending the awards ceremony on Saturday April 30, there will be a limited number of tickets available online. The tickets go on sale April 15 at 8:00am and cost $5 each (limit 4 per transaction). If you are unable to get tickets, no worries…the entire event will be streaming online! 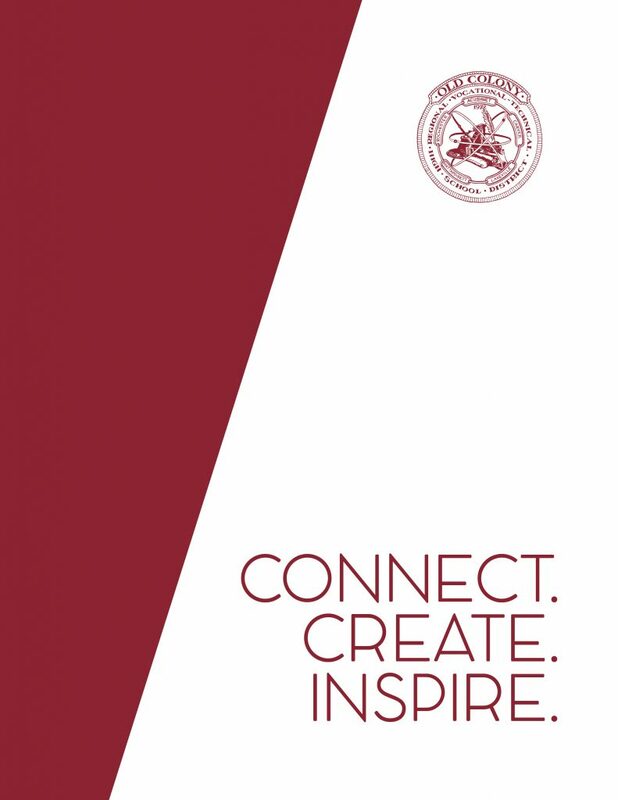 Both the opening ceremonies (Thursday, 04/28) and the awards ceremony (Saturday, 04/30) will be streaming online at the Massachusetts SkillsUSA site. On Tuesday March 15, 2016 three CIS students competed in the 3rd annual Junior Achievement Titan Challenge at UMASS Dartmouth. Throughout the day Ethan, Elijah, and Cody competed against students from 13 other area high schools using a business simulation program. As part of the event, each group of students was paired with a business mentor. The Old Colony mentor was Eric Carlson from Rockland Trust Company. Over 70 competed today in the SkillsUSA District 1 competition. Not only did all students represent Old Colony with pride and professionalism…they took home some hardware! Overall, Old Colony students took home 13 medals – five gold, five silver, and three bronze. In addition to the medals, sophomore Tara Butler has been selected as a Massachusetts State Officer candidate! Tara and the 10 other students that won either gold or silver medals will travel to the SkillsUSA State Competition at the end of April. This Friday (02/26) is the SkillsUSA District I competition at Greater New Bedford Vocational Technical High School in New Bedford. This year, we have over 70 students competing in 19 competitions! The students will be engaged in exams for most of the afternoon, followed by a dance party and dinner. The awards ceremony begins at 5:30pm and is open to the public. So, if you’re free, come on down and support our students!